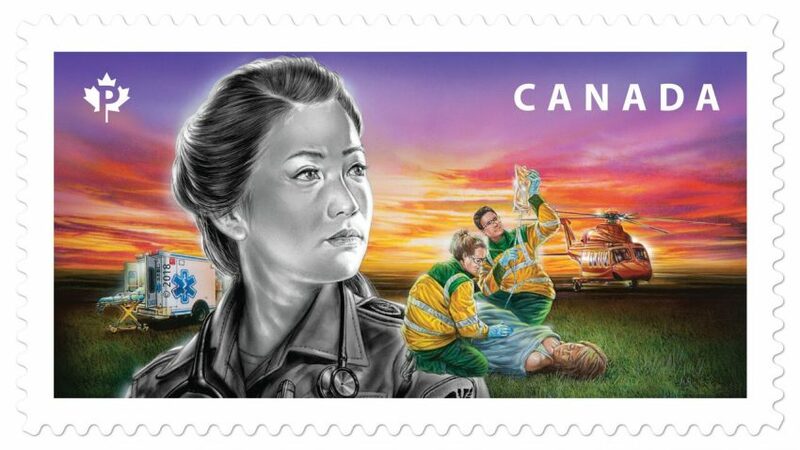 A stamp that honours the country’s paramedics for providing life-saving medical care to Canadians is the first of five stamps being unveiled this week to reflect a nation’s gratitude for all emergency responders. “These skilled, highly-trained and compassionate front-line emergency responders provide medical care on the scene and en route to hospital,” says a Canada Post news release. “They respond to natural disasters and emergencies in our communities. 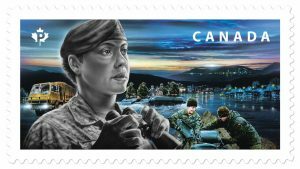 The second stamp pays tribute to members of the Canadian Armed Forces (CAF) for their critical role in responding to emergencies across Canada, such as wildfires, floods and ice storms. Other stamps in the series pay tribute to search and rescue experts, firefighters and police. “All five stamps reflect Canadians’ respect and gratitude for the skills, service and sacrifices of the men and women who protect Canadians, sometimes by risking their own lives,” Canada Post says. The stamps will be available for purchase at canadapost.ca and at postal outlets across the country beginning Sept. 14.